So... Any possibility of seeing anything new soon? Maybe project updates? The archive coming online? Anything at all? As for the archive. I've given up looking for a file manager. They either cost money, do next to nothing, or require an SQL database which I don't have to spare. eventually, I'm going to make a forum section and post them there. Hopefully when I get some spare time I can get on with that. I've though about linking the files to the ticalc.org page for the download stats, but since some of Hiryu's games are not on ticalc for some reason when they used to be (Namely, Nene's adventure) they will most likely be hosted on our server. It would be cool, if at least for now, to link to the ones on ticalc, until you can either get or make an archive manager. If I happen to see one, I will let you know. I just changed our board theme to the new blue and red theme. I guess that's new. This is new.. 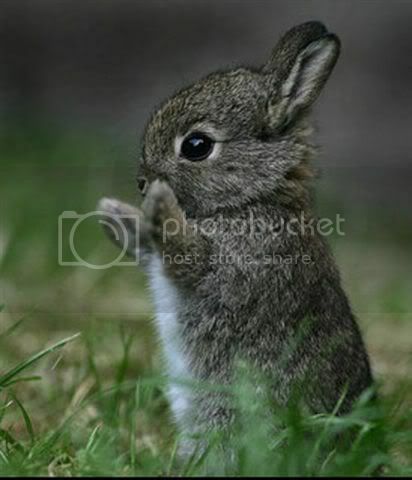 The bunneh! so...does this thread constitute the entirety of these boards? For the moment all planned updates and projects have been put on hold till my brother's surgery is done and over with and hes back out and moving about. Spinal fusion surgeries are no joke and I plan to get on the ball on updates after everything is done and over with. Probably looking around mid/late June. I hope he gets better, anything to do with the spine is not good. So... It is September, no new posts since... May? Just curious on how everything is going. Job is being a job. sucking most of my life away anyways. other than the job, Eve online and my 4 day vacation in lovely Rapture, it's been going pretty well. most of the RV stuff is finished. it's pretty much ready to go, but since it's going to get winterized soon it's not going anywhere anytime soon. I might take it somewhere one last time before the weather breaks. game wise, still pretty lazy in that dept. converted some more phoenix wright pictures, but that's about it. Hiryu's brother is doing well, don't know much else on what Hiryu's up to game wise other than Ragnarok. Site's still pretty dead. Not really surprised there, especially since I don't think anyone programs games for the 89 anymore and we're primarialy 89/92 programmers. it's all about the 83 nowadays. You should take some time to visit my site then. TI-Freakware seems to have went from a team of one for z80 basic, to a team of 3 68k'ers and me, a lowly z80 basic programmer. Anyways, some of the projects that are being made should show you that the 68k scene is far from dead.